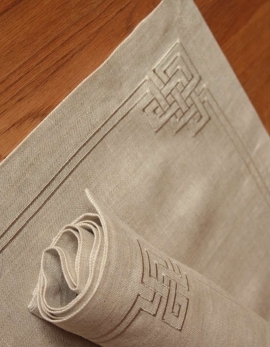 Embroidered set in pure linen, with slate shiny color thread. Neat miter-corners. Made in France. 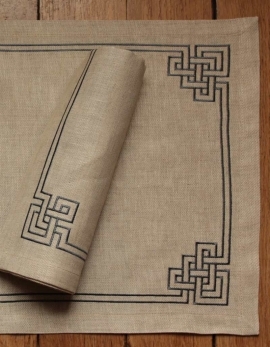 Embroidered set in pure linen, with natural shiny color thread. Neat miter-corners. Made in France.